The offices of Neal Street Productions, in Covent Garden, are heaving with posters. It’s an industry standard – big images in black frames – but it is rare they are stacked quite so deep as they are here. They lean against walls, three deep, on the floor of reception, and jostle for space on shelves running around the room. The American Beauty torso takes up an entire wall. Call the Midwife stills hide behind Hollow Crown portraits. Shots of Shrek the Musical fight to be seen against Penny Dreadful posters. Eddie Redmayne in Red. Jude Law in Hamlet. Charlie and the Chocolate Factory. The Ferryman. That they’ve run out of office space tells you a lot: all this comes from a tiny team in a cosy first-floor office. 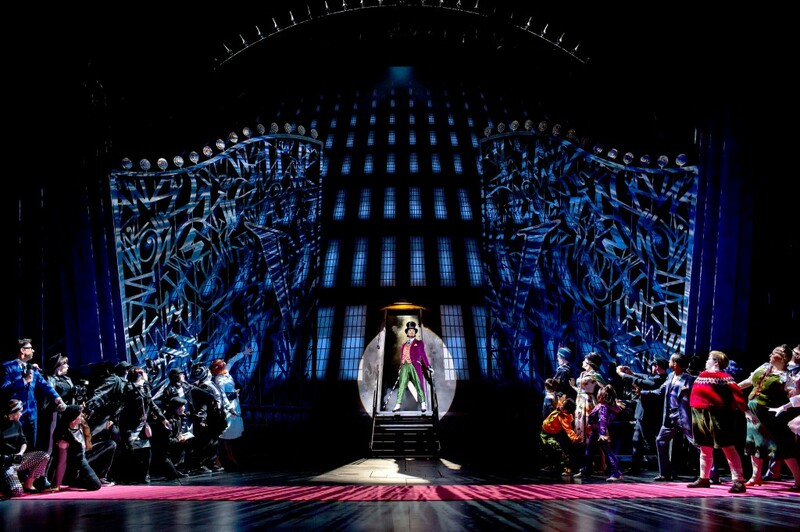 Neal Street has produced more than it knows what to do with, and its productions occupy more space than the producers themselves. On one picture shelf, just off centre, there’s a small Daily Mail cartoon of Neal Street’s head honchos: Sam Mendes with dreamy squiggles for eyes, television execs Pippa Harris and Nicolas Brown and, top right, seeming to hide under her hair, Caro Newling – Mendes’ producer for the past 30 years. 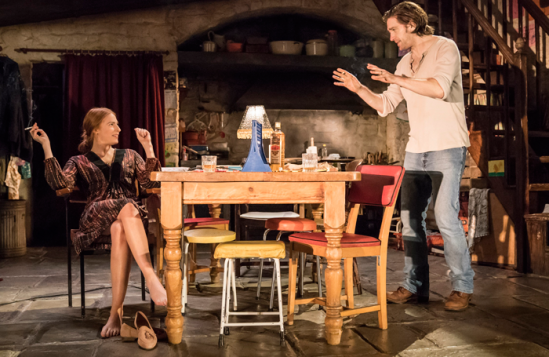 After getting the Donmar Warehouse going in the 1990s, then building this independent outfit from the ground up before selling it in 2015 – asking price £40 million – the two of them are as tight a team as you’ll find in British theatre. Not that its apparent from the outside. Newling tends to stay out of the limelight. Even when they left the Donmar together, Mendes announced the news on his own. “She never makes it all about her,” one major West End producer told me. “That’s how you get the best results.” Producing is not a me, me, me role. In person, Newling is a bit of a paradox. She makes her presence felt without ever pushing herself forwards. She’s short – just over 5ft, I’d guess – with a ruffled black bob and dressed in a denim blue smock that’s probably designer, but determinedly unshowy. Her manner is quietly commanding, and things happen around her with no need to ask. Water appears, still and sparkling, double doors are shut and she segues from intros to interview before there’s even a chance to put the dictaphone on, striding into a sincere shout-out to the Society of London Theatre’s new scheme to widen access to jobs in the industry. Producing, for Newling, is about building something well, not about being flash. “If you earn a lot of money, great, but it’s probably once in a lifetime.” In fact, she says, “producers are the last people to earn anything” – profiting only once investors are paid – and “that money generally comes round again; it gets poured back in”. Producers make things happen. Newling does that. She’s an enabler, a co-producer as often as a lead; one of the reasons she flies under the radar. She concocted This House’s West End run with Nica Burns while bored at the Tonys and helped get shows such as Red, Enron and Sunday in the Park With George to Broadway. As in horse-racing, she believes spread-betting is more sensible than going all-in. At this Sunday’s Oliviers, she’ll be crossing her fingers for The Ferryman – through her co-producer Sonia Friedman tends to take the plaudits. In Newling’s world, things need doing, problems need solving and people need pulling together. “Everybody’s on the same mission at the same time. I think that’s why people love it.” For her, theatre’s appeal was always as a team sport. At that stage, not only had she never run a theatre, she’d never even produced a show. That, Mendes explained, was precisely the point. “We’re going to have to do stuff that hasn’t been done before. 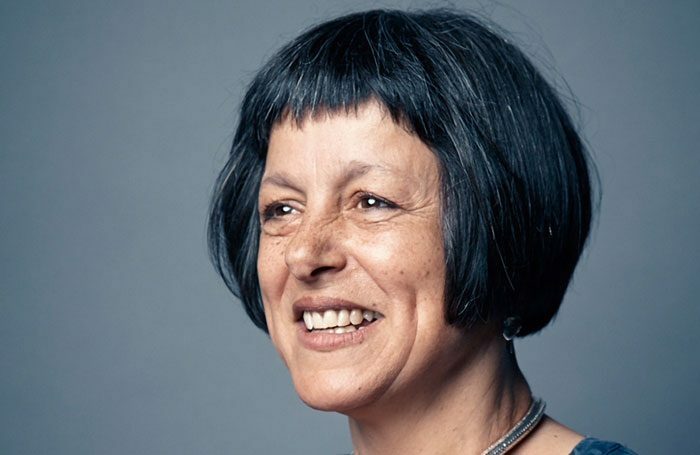 People who know what they’re doing will tell me why we can’t do it.” Not knowing better, Newling asked for new terms – new union rates, cut-price deals – and, against the odds, she tended to get it. She’s best, she says, when fighting for something. • Pay attention to everyone from day one. • Be useful. If something needs doing, then do it or help it get done. Don’t pull focus. It’s neither necessary nor endearing. • Don’t be dazzled by figures. Identify what they relate to. As you would with your shopping basket, be clear on the givens and what the elements are that will make a fabulous dinner. Then juggle the competing claims. Their Donmar is largely defined by a string of successes: legendary productions of Cabaret and Company, the “theatrical viagra” of Nicole Kidman in The Blue Room, Gwyneth Paltrow in Proof. It opened with the UK premiere of Stephen Sondheim’s Assassins, and the venture never looked back. “We were luckier than we realised at the time,” she says modestly. “There was the old Warehouse audience waiting to come back, but there was also an audience looking for glamour, looking for buzz, which wasn’t really that prevalent at the time.” Ever the showman, Mendes supplied it in spades. Neal Street was set up to run along the same lines: a small team, all self-starters, producing on the hop. Working across stage and screen, it was ahead of its time and, partly as a result, it took a while to find its footing. Instead of relying on general management – Newling is “not really interested in the organisational stuff” – Neal Street determined to build productions from scratch: a few big hits to support the work they wanted to do. It took time. Call the Midwife, developed by Harris, hit screens in 2012; its large-scale, long-running musicals, Shrek and Charlie and the Chocolate Factory, both turned bumpy beginnings into slow-burning success. That’s largely down to Newling’s modus operandi: make the thing, make it work, then work out how to make it make money. 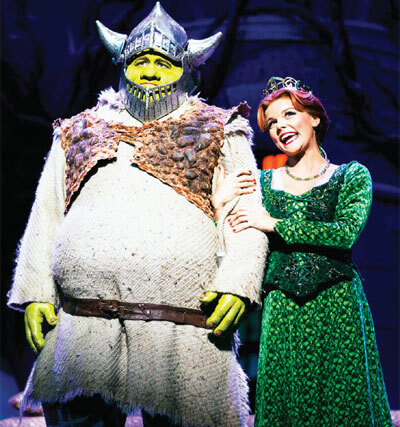 Shrek floundered on Broadway, failing to recoup its $25 million investment, but it was reworked for an American tour and again for the West End. “It’s developed and developed and developed,” Newling says. Even now, its original creative team is chopping and changing for a new UK tour. Mucking and riding out at a stables in Lewes and waitressing. Assistant stage manager at Theatre Royal Stratford East. Absolutely everything you do in this industry counts and leads on to something else. Enjoy it all. There’s no rush. Those who are alive to spotting the best in others: Sam Mendes, Genista McIntosh, Terry Hands, Nick Starr, Nick Salmon, Anne McNulty, Pippa Harris. Nothing is predestined. Producers are as much on a quest to find the perfect fit as you are; there is always everything to play for. A team player somewhere. Pretty much all of my family are teachers. I check my effing phone is off at stage door, but I’m not a thrower of salt. Its forthcoming Lehman Trilogy is a case in point. Having read reviews of the Italian premiere, Mendes flew to Milan to see Stefano Massini’s Piccolo Theatre production. “He came back absolutely whizzing about it,” Newling says animatedly. Over nine hours, it charted the foundation of a family business in 1844 and the collapse of a global bank 163 year later. Adapted by Ben Power, who shaped the Hollow Crown scripts, and developed at the National Theatre Studio, Massini’s trilogy has been remade as a massive, four-hour three-hander. It opens at the National in June – a huge project, three years in the making – and at this stage, its future is uncertain. A New York transfer is in the offing – Newling’s address book reaping rewards once again – taking it “to the Upper East Side of Manhattan – exactly where it should play”. Beyond that? “We don’t know.” There’s the real possibility of reshaping it for television: a collaboration between Neal Street and an Italian production company, Domenico Fandango. There’s nothing compromised about it. 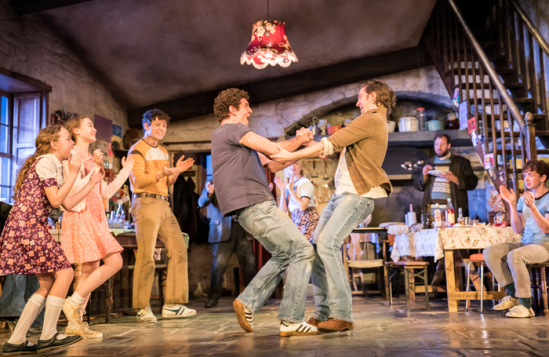 Jez [Butterworth] is not afraid to be a traditional storyteller. He’s not afraid to use poetic references or to imagine an audience will keep up and respond. It’s authentic, it’s not rushed, but we’ve never had any comments like, “Oh it’s long, it’s hot”, because it’s so magnificent. 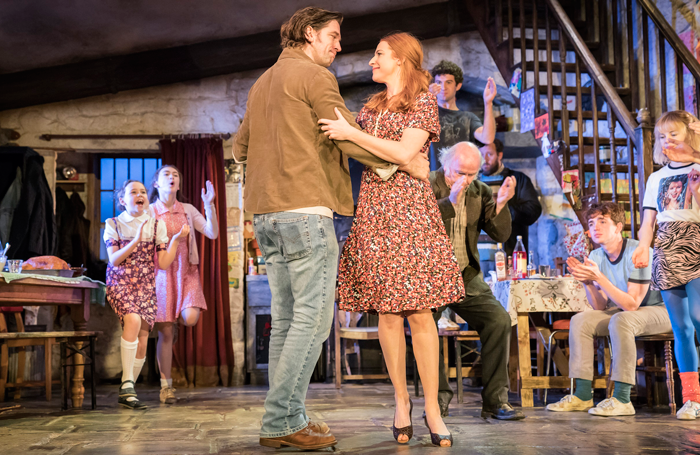 People still bang on about how expensive the West End is – usually actors – but it’s no longer true to say shows are only discounted if they’re not selling. The truth is that there are people who want to pay £200 to sit in those seats because they’re called premium, but kids with rucksacks are turning up on Drury Lane and getting a good deal. It happens on a daily basis. Our job is to sell every last ticket. I don’t know why we can’t get that message over. People imagine that if there’s a long-running show, producers are making tons of money. Actually, producers are the last people to earn anything. Mainly you’re giving your profit to your investors. If you do earn a lot of money, great, but it’s probably once in a lifetime. That money then comes round again; it gets poured back in. There’s one golden rule: it should always go to the next generation. It should be constantly refreshed and renewed. There are plenty of people around, so whatever happens next, it’s going to be very exciting. It’s a difficult job. When you take on a landmark, named theatre – which the Donmar now is – there’s a lot of expectation. It does need to be someone who can handle that and, if necessary, enjoy it. You have to be tough. There are other irons in the fire – clearly more room will need to be made for the posters in Neal Street’s offices. Director Thea Sharrock’s down for a new American play, Chiara Atik’s Five Times in One Night, with a Game of Thrones star (reportedly Emilia Clarke), while Nigel Harman is workshopping a stage version of Paul Auster’s Mr Vertigo. 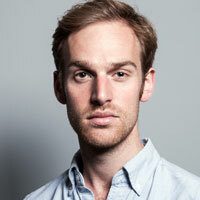 David Greig’s take on the film Local Hero is at the Lyceum and the Old Vic later this year. Newling reckons the West End is in the best state it’s been for years – largely down to the link between commercial and subsidised sectors. “It’s a much longer game,” she says, but it makes a lot possible.